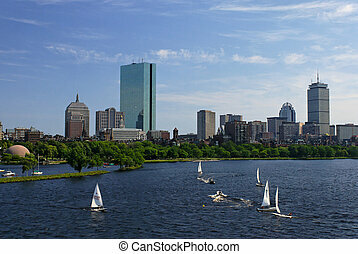 Charles river sailboats. 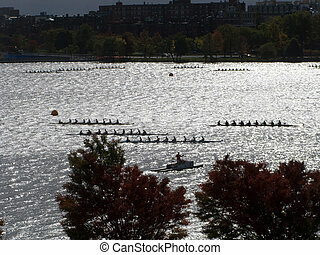 Sailboats and a crew shell on the charles river. 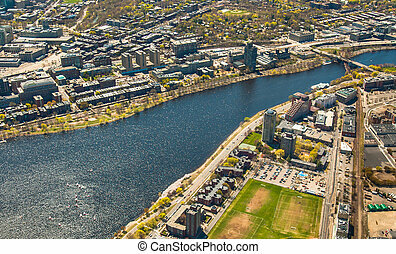 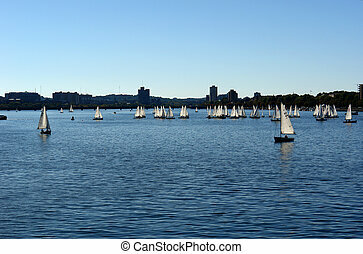 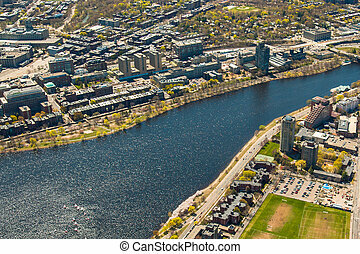 Sailboats in the Charles River in Cambridge, Massachusetts. 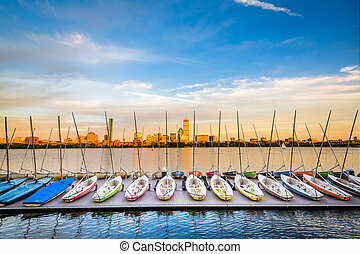 Sailboats docked in the Charles River in Cambridge, Massachusetts. 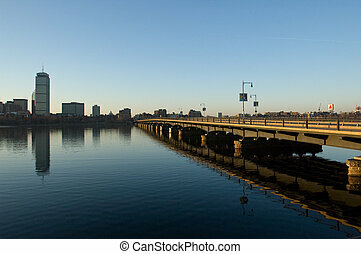 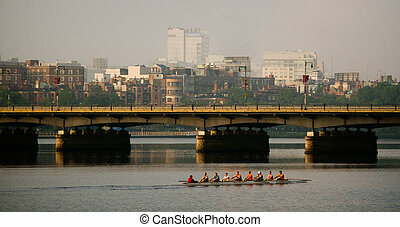 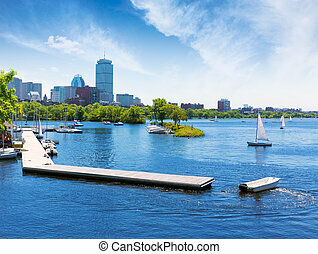 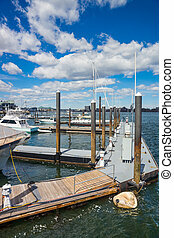 Pier of Boston Wharf and sailboats in Charles River, Boston, Massachusetts, the United States. 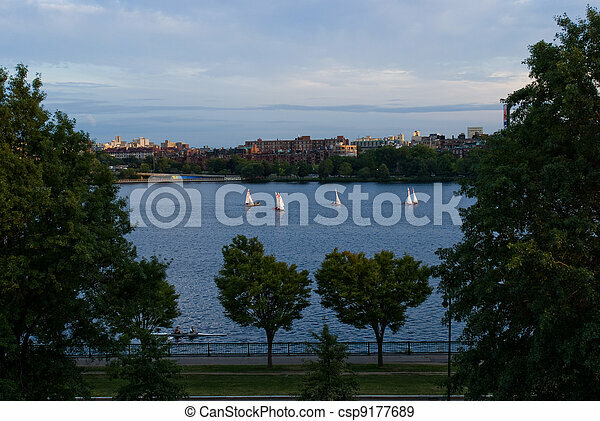 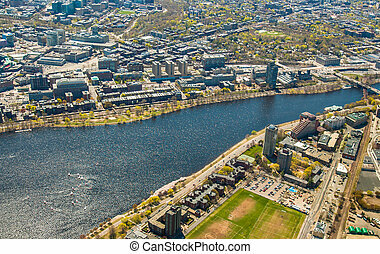 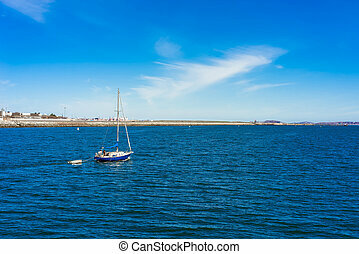 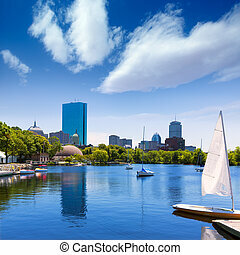 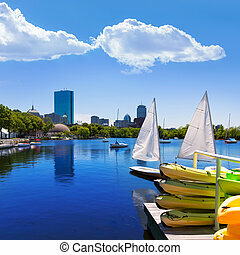 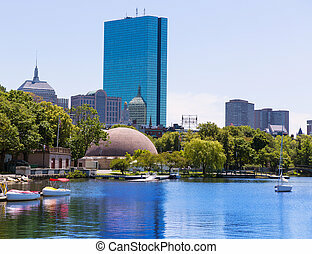 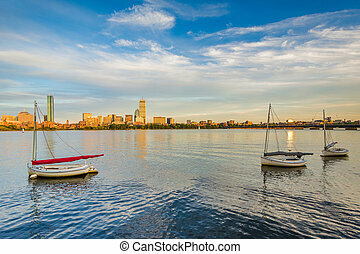 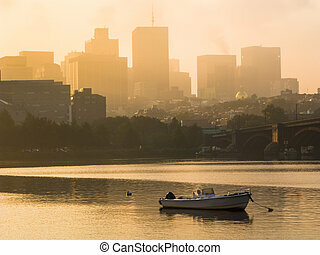 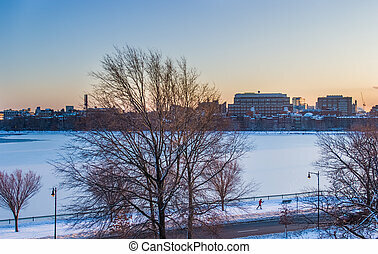 Sailboat in Charles River, Boston, Massachusetts, the United States. 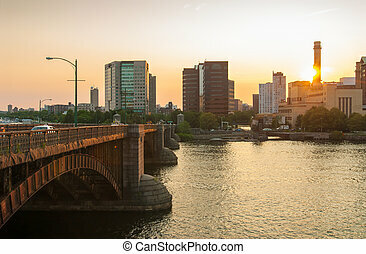 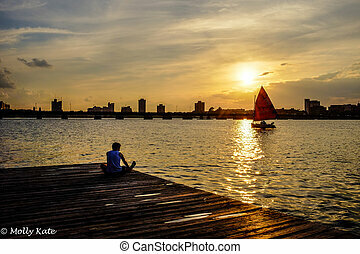 The sun sets on the Charles River in Boston as a runner stretches on the dock and watches the sailboat cross into the sun. 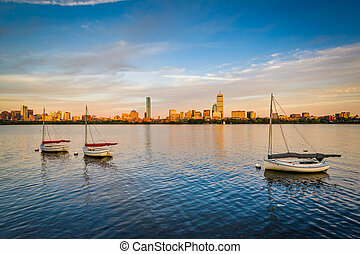 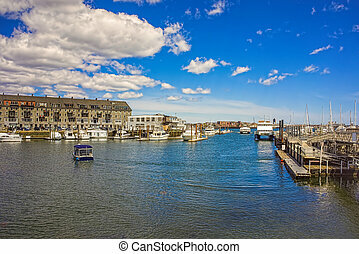 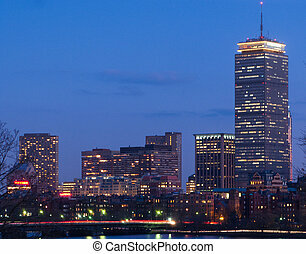 Long Wharf with Customhouse Block and sailboats in Charles River in Boston, Massachusetts, the United States. 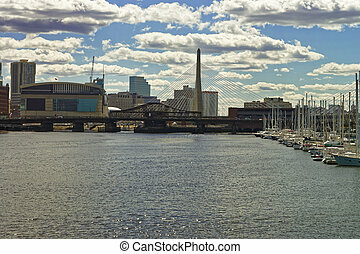 Pier 6 with sailboats at Charles River and Leonard P Zakim Bunker Hill Memorial Bridge with the skyline of Boston, Massachusetts, USA. 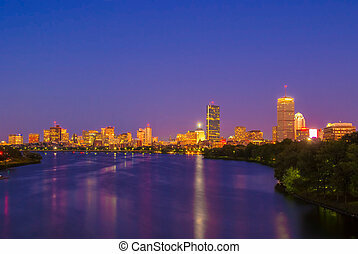 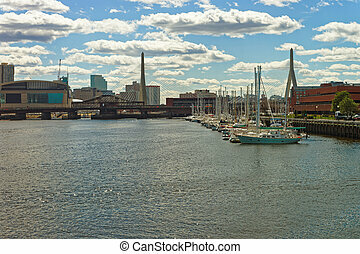 Pier 6 with sailboats in Charles River and Leonard Zakim Bunker Hill Memorial Bridge with the skyline of Boston, Massachusetts, USA. 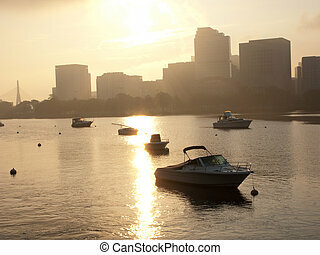 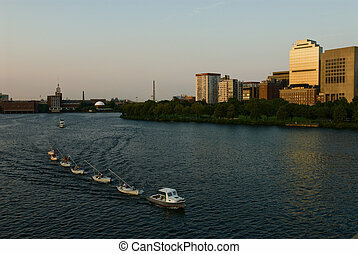 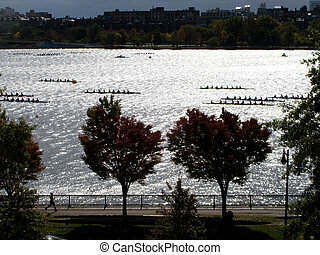 Motorboats anchored in the Charles River in Boston, MA.